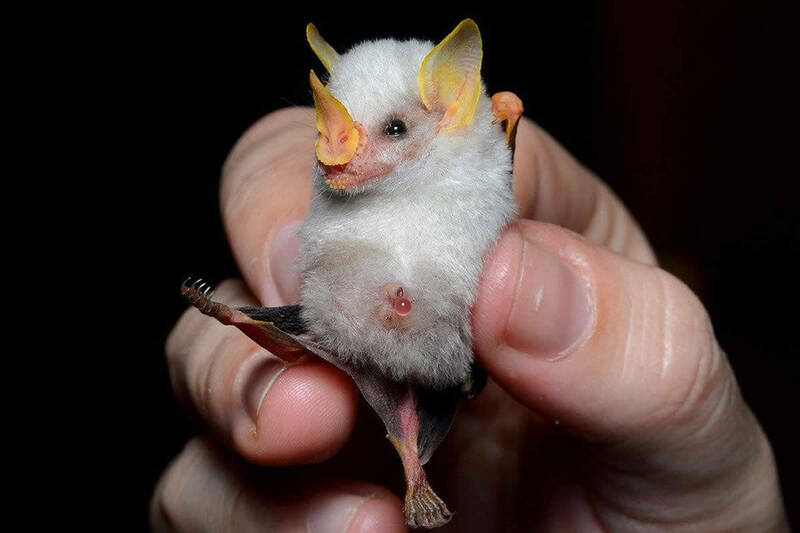 At the Monteverde Bat Jungle you will learn about the diversity of bats, the abundance of bats, where bats roost, what bats eat (including such things as fruit, nectar, insects, frogs, fish, birds, lizards, and mice), bat wings compared with bird wings, echolocation, the fantastic faces of bats, vampire bats, and baby bats. We have 80 live bats of 8 species in a huge flight space (about 52 square meters) that is designed to look like a tropical cloud forest at night. 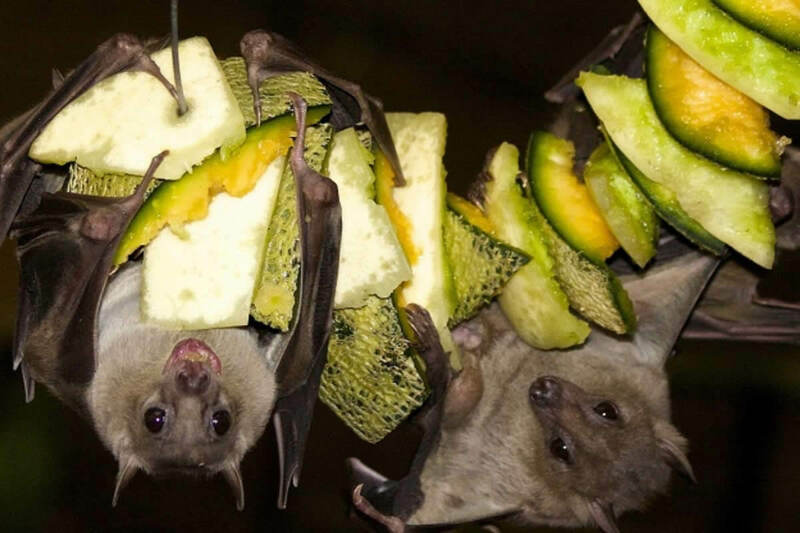 You can watch our bats visit the bat feeders for fruit and nectar all from inside of a Bat Habitat from behind a glass enclosed viewing area. 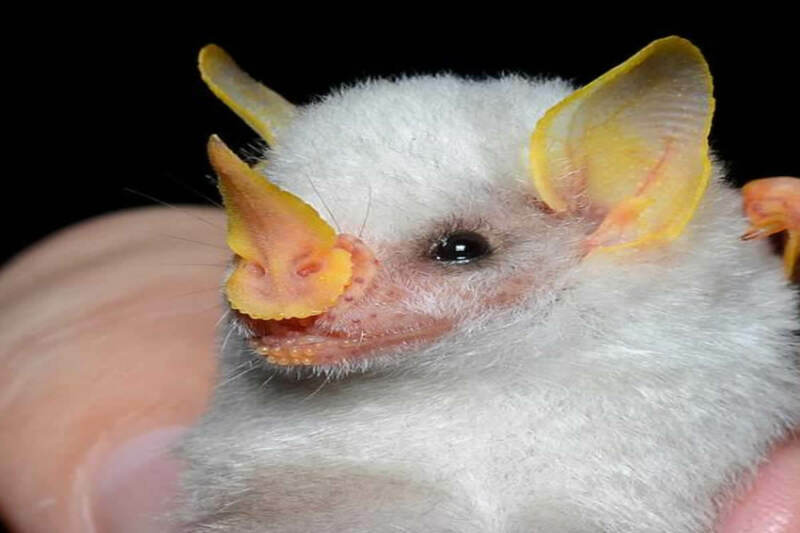 Within the Bat Habitat you will hear the ultrasonic echolocation calls and social calls made by the bats flying within the Bat Jungle, picked up with a special microphone, transformed in a special "Bat Detector", and broadcast through loudspeakers in the bat visitor viewing area. 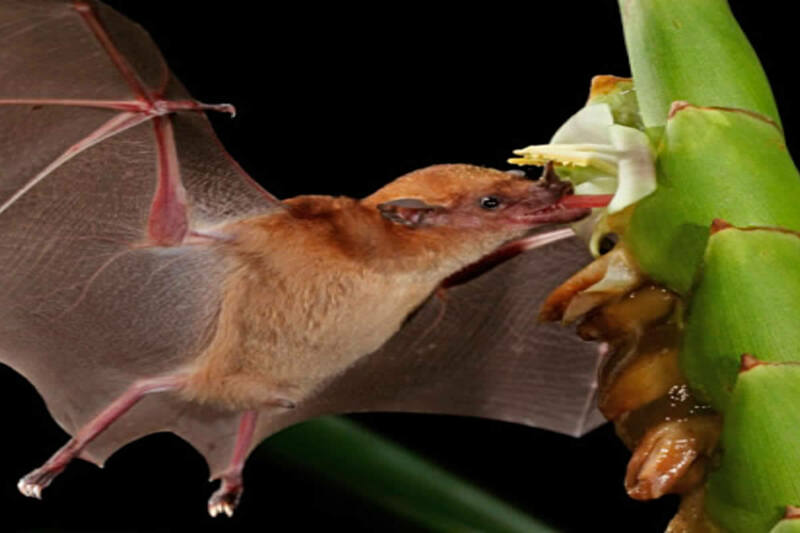 There are a number of interesting exhibits that will teach you about the importance of bat conservation for controlling bugs, regenerating tropical forests, and pollinating flowers. You will hear about specific conservation issues, like making bat houses, and bat exclusion (gently moving them out of a place where they are unwanted). 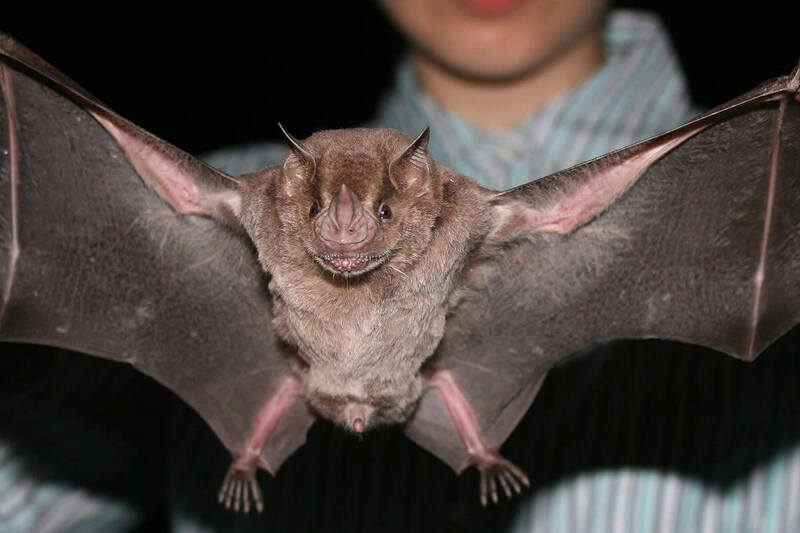 This tour is a great activity to include during your visit to Monteverde and only takes about an hour depending on how long you wish to observe the bats in the Bat Habitat. Expert local guide, flashlight, entrance fee. Comfortable clothes and shoes, camera.